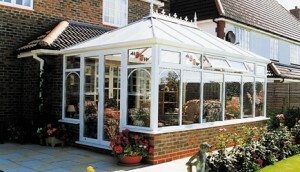 Valmar Windows - Your local, family owned and managed uPVC installer. 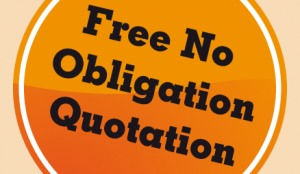 Windows, bay windows, doors, sliding patio doors, bi-foldng doors, porches, conservatories & orangeries, shaped frames, fascias, soffits & guttering. 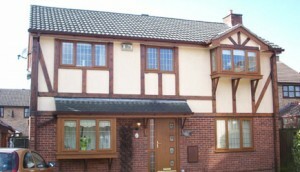 Great choice of windows to give you the look, comfort & security. 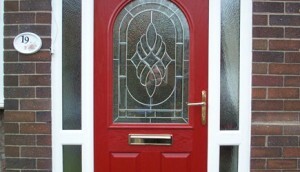 We have an extensive range of uPVC composite doors. Choose from a wide range of designs to complement your home. Valmar Windows Ltd is your local, family owned and managed uPVC installer- and much more! Established for over 35 years, Valmar Windows are specialists in custom-made quality products: Conservatories & Orangeries, Porches, Windows & Bay Windows, Composite & uPVC doors, Sliding patio doors, French, Bi-foldng doors, Shaped frames, Fascias, Soffitts and Guttering. Just a brief note to let you know that (my wife) and I are delighted with the new doors: they look quite superb. Many Thanks. Just to say thank you John for an excellent job on the doors and taking well care of my tiles and everything else. Thank you. Just a quick note to say we are very pleased with the new front door. Can you thank (your fitter) for the very good job he did in fitting it. 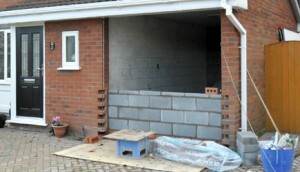 We carry out all building works through our sister company JC Builders Ltd, with all associated trades, including house extensions, modernisation, renovation, grant works, garage & loft conversions and all smaller repair and alteration works etc. A rated windows available from Valmar Windows. 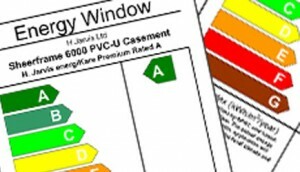 Discover how the energy efficient windows ratings affect you.